Youtube/Mark RoberMark Rober demonstrates his creation. 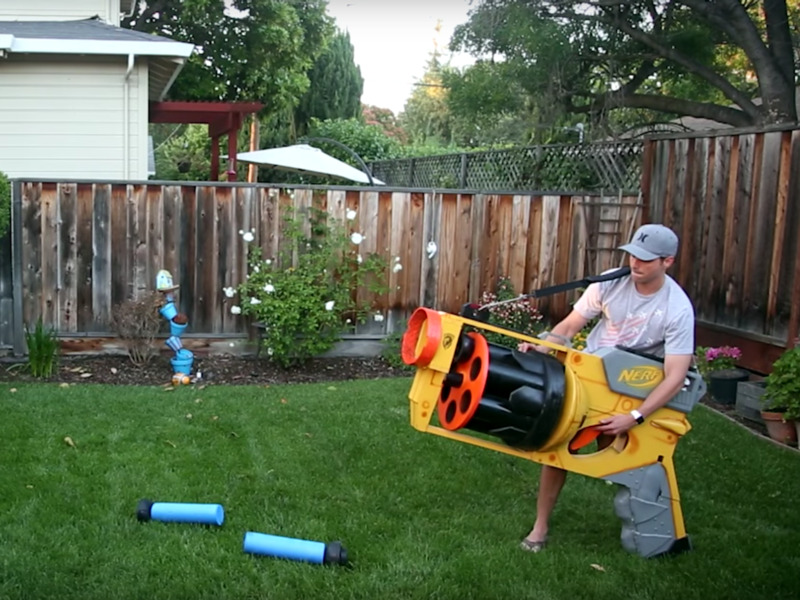 A NASA engineer-turned YouTuber designed a Nerf gun that launches giant darts at speeds up to 40 mph. Don’t tell your older brother. Mark Rober, who formerly worked on the Mars Curiosity Rover as an engineer for NASA, uploaded a video of his creation to YouTube early this week. It’s already racked up more than 2 million views. 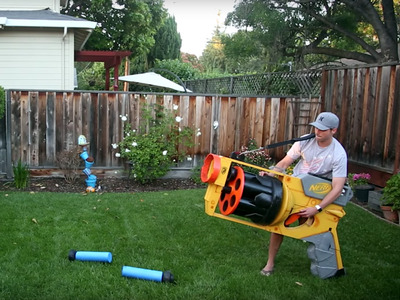 “People have these Nerf dart wars at work sometimes, and in an effort to keep people from picking on me, I decided to create the world’s largest, functional Nerf gun,” he said in the video’s intro. The darts are made out of pool noodles and plunger heads, and the machine is powered by a the same type of air tank found in paintball guns. It’s not terribly efficient, though: The whole tank only has enough power for about 20 shots. At the end of the video — and in true Nerf gun antagonist fashion — Rober challenges his unsuspecting niece and nephew to a full-out foam bullet battle. Spoiler alert: He definitely wins.